Keep your laundry off the floor with this convenient Home Basics Chevron Hamper. The sturdy front handle makes it easy to carry it from room to room, while the Velcro snap top keeps laundry in place. 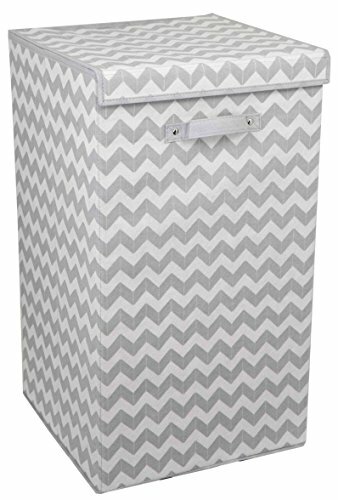 It also features a beautiful chevron design that will suit well with any bathroom, bedroom, or laundry room that incorporates modern decor. Measures 14.25" x 14.25" x 24.75"